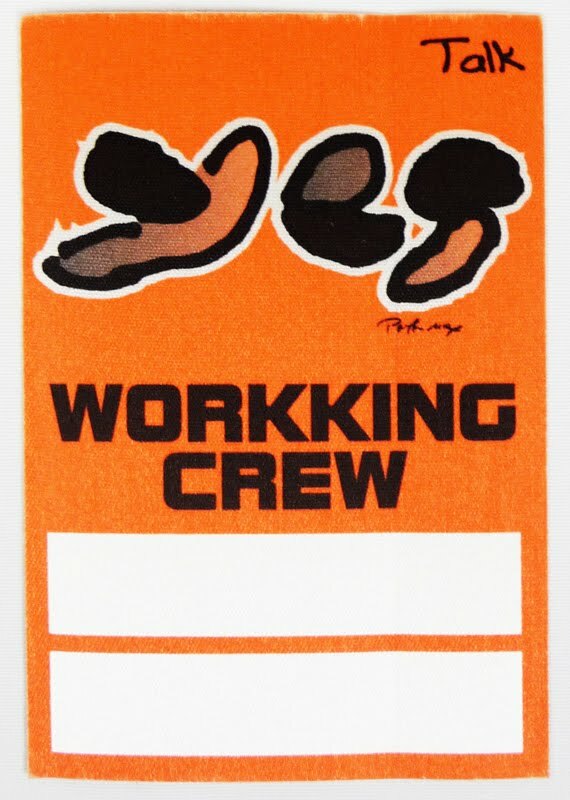 The original CD TALK, by the famous group YES. 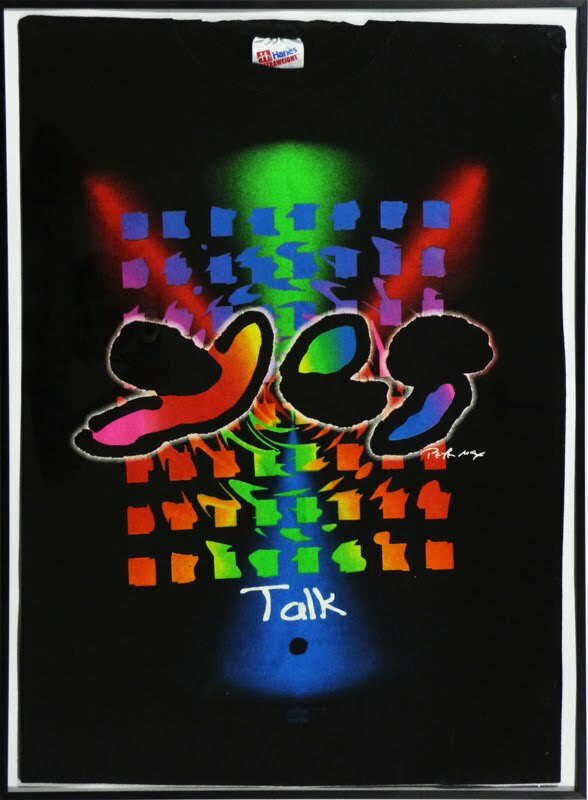 Talk is the fourteenth studio album by progressive rock band Yes and was released in 1994. 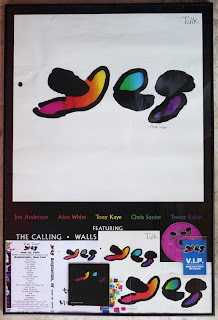 Their first release with an independent label after having been distributed the length of their career thus far with Atlantic Records and Arista Records, Talk is also notable for being the last Yes recording with Trevor Rabin and Tony Kaye. 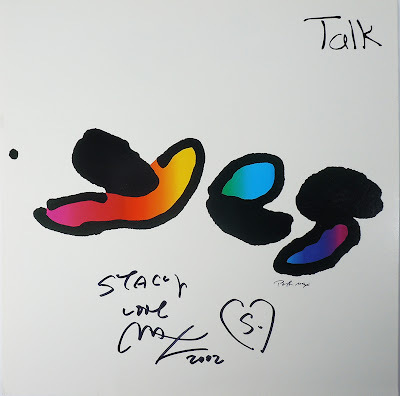 Released in March 1994, Talk had its warm reviews, but also its detractors. It was the first of the remaining new projects by Yes to fail to reach gold status. So, it was a flop musically, but the artwork brilliant. 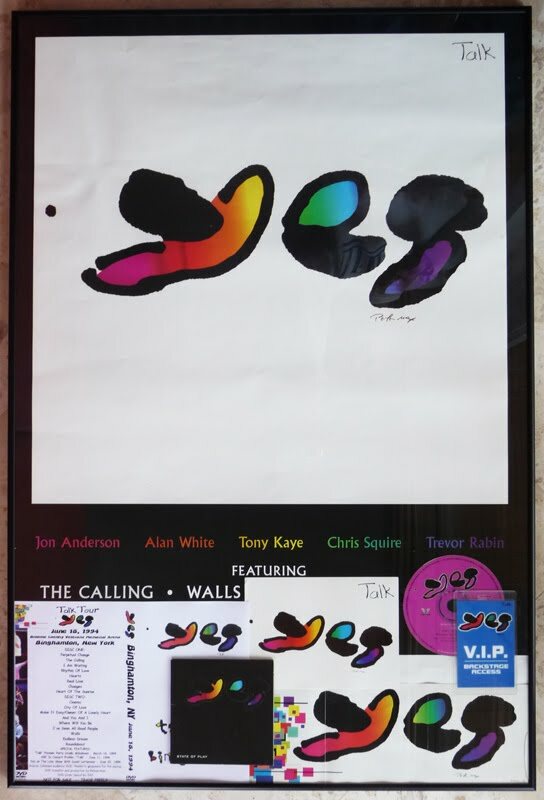 This is a framed collage of a variety of memorabilia from the TALK tour, including a 24 X 30 Poster, VIP pass, a promotional card and a copy of the CD in the black version.